The European Council elects its President by a qualified majority for a term of two and a half years, renewable once. This means that Herman Van Rompuy, the current incumbent, cannot run again. This is also the only one of the top EU positions that has no role for the European Parliament in its appointment process, although if 2014 works as 2009 did, the President of the European Council position will be part of a package deal for the top three positions. This position is the only one chosen in addition to the Commission when it comes to nationality – i .e. the country that gets President of the European Council also gets a Commissioner. This post follows posts about EPP, PES and other candidates for President of the European Commission, and High Rep for Foreign Policy. So who are likely candidates for this position? 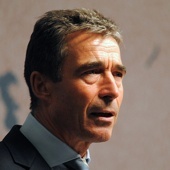 Mentioned in this post as a possible liberal candidate for the European Commission, the European Council position may instead be a better fit for Anders Fogh. A previous Prime Minister of Denmark, with international political experience, he would be a middle-of-the-road candidate who would have the respect of the Heads of State and Government around the European Council table, yet would bring a more determined and communicative style than Herman Van Rompuy. However he would not be favoured by the current Danish government, and comes from a non-Eurozone country and from a small political party. 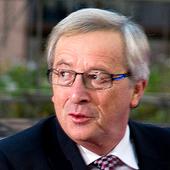 Prime Minister of Luxembourg since 1995, and President of the Eurogroup 2005-2013, the wily Juncker is a well known Brussels character. Known for his ability to strike deals in EU business, his skills and connections could be useful in the top position, although his enduring commitment to EU integration may make him a questionable choice from some Member States. Also a grey relative unknown, is he just simply too similar to Van Rompuy? However he is from a Eurozone country, and from the EPP party. Mentioned as a possible EPP candidate for the Commission, the outgoing Swedish Prime Minister would also be a suitable candidate for the European Council position. 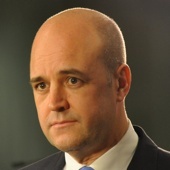 With a Swedish general election on 14th September 2014, an official Reinfeldt candidacy would be a last minute thing, but his measured approach and ability to build bridges to the UK could be to his advantage. Coming from the EPP helps, while coming from a non-Eurozone country does not assist. 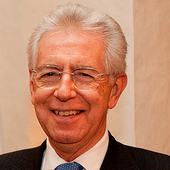 A former interim Prime Minister in Italy, and a former member of the European Commission, Monti has the Brussels connections, and the conciliatory ability, to keep the business of the European Council on track. While he personally seems to be centre-right, he has tried to stay out of clear political allegiances at EU level. While a technocratic figure like Monti might not be the sort of inspiring face the EU might need, but he would be a safe choice. 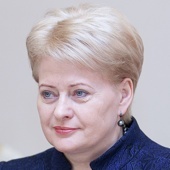 Mentioned in the post about EPP Commission President candidates, Grybauskaitė has experience of the highest office as President of her country, a position that requires her to be above party politics. She would bring a steely determination and assured competence to the role. Coming from a non-Eurozone country might count against her, although as she is centre-right that might assist her candidacy. It has always been rumoured that when Angela Merkel stops as Chancellor of Germany that she could step up to EU level – but would she want this position in 2014? Other long shots could be Danilo Türk (former President of Slovenia) and Toomas Hendrik Ilves (current President of Estonia, and a former MEP). Possible centre-left candidates could be Helle Thorning-Schmidt (Prime Minister of Denmark), or Alfred Gusenbauer (former Chancellor of Austria). [UPDATE 19.5.13, 2100]: Thanks to comments, John Bruton and Jerzy Buzek should be added as long shots. Balkenende wouldn’t be bad (though he does lack a bit of vision and charisma!) but I can’t see him going for it and I can’t see him being nominated. As a post-election compromise candidate, though, why not? Everything is possible. If we were even more ambitious, we could also try and make the EU’s 15 different presidents (EP, Eurozone, etc.) directly elected by the EU citizens. Why not have the Council President directly elected by the EU citizens and act as the ‘head of state(s)’. While leaving the Commission President, post Lisbon Treaty, ‘chosen’ by the largest party in the EU Parliament. Leaving the EU with a weak Semi-presidential system. Good overview Jon. You may want to add that gender balancing may also play in favour of Grybauskaitė. Good job, but I think you forgot one important competitor: the President of the European Commission whoever might be elected. We shouldn’t forget that the post of European Council president has been designed in a way that it can be merged with that of president of the European Commission. Many have voiced their strong interest for such a move, and bear in mind that the current context is one where a new institutional overhaul is being prepared and the organisation of the different presidencies will be reconsidered. And the role of the European Parliament might help giving precedence to “its” European Commission president over any other EU president. The next president of the European Council should come from an eurozone country. HVRompuy is both the president of the European Council and the president of eurosummits (since autumn 2011). In theory these two jobs could be split but I suppose they will look for full, two-hat replacement for HVR. I mean that there are 27 Commissioners (inc. the Comm Pres and High Rep), and that the President of the European Council is additional. Put it another way: Belgium has de Gucht as Commissioner AND Van Rompuy as Pres of the European Council. Evan – thanks! Added as long shots. Buzek is a bit elderly now, but he would be viable I think. Merkel would be awesome, not that she’d ever want or accept the job. Buzek? John Bruton?